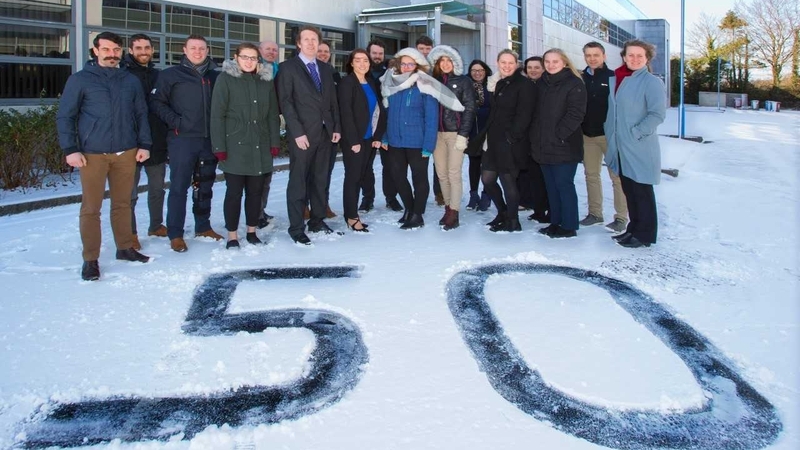 Fifty new jobs have been announced in Cork at Apex Fund Services. The announcement has been made as the opening new offices for financial services provider in Carrigtwohill. The global Apex Group specialises in delivering fund administration and middle offices services to asset managers worldwide. The firm has experienced unprecedented growth over the last year, both organically and through acquisition. Apex is the eighth largest fund administrators in the world, and the company expects to increase headcount across its Irish offices over the next 18 months. Ireland is one of the world’s largest financial hubs and an extremely important service centre for Apex, with offices in Cork, Dublin and Sligo. With Brexit looming, more and more managers are looking to the Irish funds industry for stability. Bryan Atkinson, Apex Fund Services (Ireland) Managing Director, said, "Rapid expansion at Apex is driving the demand for additional talented resources across the group globally.
" It’s an exciting time for Apex and for the Irish employee population, providing more room for progression and exposure to learning new products as we expand." The Apex Group acquired Deutsche Bank’s Alternative Fund Services business in October 2017, adding €170 billion to Apex’s assets under administration. It is expected that Apex will also expand its headcount in Dublin and Sligo in the future. Tánaiste Simon Coveney T.D. welcomed the announcement of the new offices at Carrigtwohill and increase in headcount at the firm.